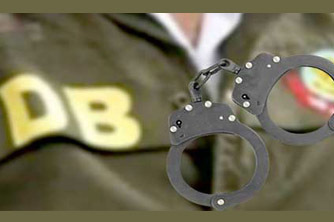 Detective Branch (DB) of police arrested five persons in connection with the killing of Awami League (AL) leader Forhad Ali from the capital’s Gulshan and Shah Ali Police Station areas. Police personnel recovered four firearms, four magazines and 12 rounds of bullet from their possessions, said a DB official. The arrestees were identified as Md Zakir Hossain, Md Arif Miah, Md Abul Kalam Azad alias Anir, Md Badrul Huda alias Sourav and Md Billal Hossain alias Rony. Of them, Zakir Hossain was allegedly mastermind of the killing. DB sources said, the arrestees gunned down AL leader Forhad Ali on June 15 at Ali Mor area under Badda Police Station over establishing supremacy in the area. A murder case was filed with Badda Police Station to this end.